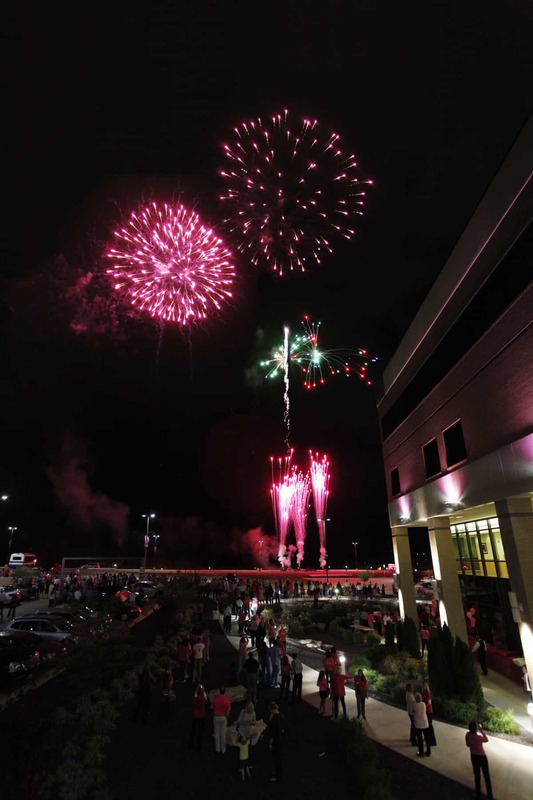 More than 1,200 people watched as a fireworks finale brought the Pink Up Cape Kick Off event at Saint Francis Medical Center to a close on September 24. 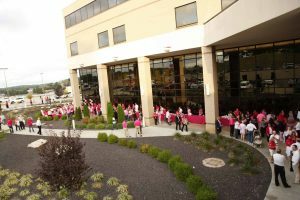 Saint Francis Medical Center kicked off its annual Pink Up Cape breast cancer awareness campaign with a bang on September 24. More than 1,200 guests, including breast cancer survivors, their families and supporters, gathered in the Cancer Institute for food, entertainment and shopping, all benefitting Dig for Life, Saint Francis’ program that provides free mammography screenings for local women who could not otherwise afford them. The evening featured the return of the Pink Up Cape Choir, made up of singers and musicians from Lynwood Baptist Church, Second Missionary Baptist Church, Greater Dimensions Church of God in Christ, New Bethel Missionary Baptist Church and the House of Prayer, and led by Brian Crisman of Lynwood Baptist. Country Music artist Candy Coburn of Dexter, Mo., joined the choir for a performance of her breast cancer anthem, “Pink Warrior,” an encore from last year’s event. A spectacular fireworks finale brought the evening to a close. National Breast Cancer Awareness Month begins October 1. Saint Francis and its many community partners will continue to raise awareness and funds for Dig for Life throughout the month. This year, supporters are invited to share their “Reason to Believe,” as they “pink up” to raise awareness and educate others about this life-threatening disease. According to the American Cancer Society, death rates from breast cancer have been declining since about 1989, with larger decreases in women younger than 50. These decreases are believed to be the result of earlier detection through screening and increased awareness, as well as improved treatment. Saint Francis launched Pink Up Cape in 2010 to raise awareness of breast cancer in the community. During the campaign, residents are encouraged to “pink up” their homes and businesses in support of the cause. Proceeds benefit Dig for Life, a joint effort of Saint Francis Medical Center, Southeast Missouri State University and private donors that provides free mammograms to area women who otherwise could not afford them. 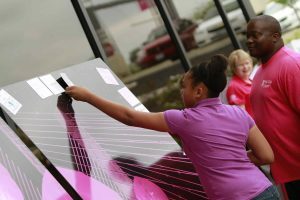 Dig for Life provides more than 400 free mammograms to local women each year, and has provided more than 2,000 free mammograms since 2000. Last year, more than 85 local businesses, 20 schools and countless individuals raised $90,000 in support of the program. Breast cancer is the second-most diagnosed – and second-most fatal – cancer in women. One in eight women will be diagnosed with the disease in her lifetime, but early detection could save her life. Women age 40 and older should have a yearly screening and the Dig for Life program attempts to remove financial barriers for local women who need the screening but cannot afford it. Events supporting Dig for Life are scheduled throughout October and are listed at www.digforlife.com. Please visit the website or call 573-331-5133 to learn more or donate to the cause.